A HOME-MADE locomotive, built by two 14-year-old boys from an old oil barrel, parts of a coaster wagon, bicycle sprocket and washing machine gear, startled residents as it whistled and chugged its way through the streets of Minneapolis. 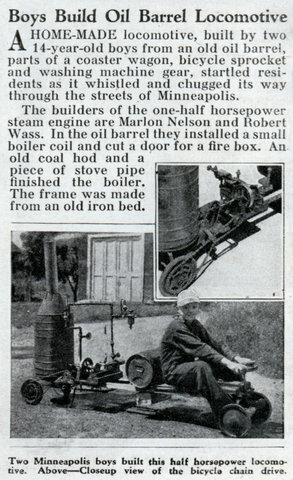 The builders of the one-half horsepower steam engine are Marlon Nelson and Robert Wass. In the oil barrel they installed a small boiler coil and cut a door for a fire box. An old coal hod and a piece of stove pipe finished the boiler. The frame was made from an old iron bed. 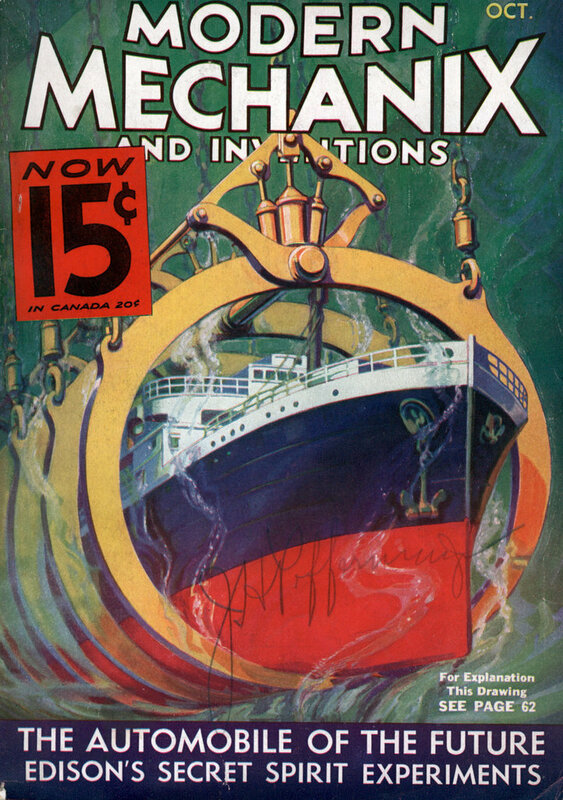 14 year olds of 2006, meet your predecessors from Mechanix 1933, you have your work cut out for you… – Link……. This is probably the most unsafe machine on the entire website. A boiler is a bomb with vents in it. Especially one this large.